Can CDMI emancipate an interoperable medical records cloud ecosystem? Comments Off on Can CDMI emancipate an interoperable medical records cloud ecosystem? PREFACE: This is just a thought, an idea. I am by no means an expert in this area. I have researched this to inspire a thought process of how we can bring together 2 disparate worlds of medical records and imaging with the emerging cloud services for healthcare. Healthcare has been moving out of its archaic shell in the past few years, and digital healthcare technology and services are booming. And this movement is part of the digital transformation which could eventually lead to a secure and compliant distribution and collaboration of health data, medical imaging and electronic medical records (EMR). It is a blessing that today’s medical imaging industry has been consolidated with the DICOM (Digital Imaging and Communications in Medicine) standard. DICOM dictates the how medical imaging information and pictures are used, stored, printed, transmitted and exchanged. It is also a communication protocol which runs over TCP/IP, and links up different service class providers (SCPs) and service class users (SCUs), and the backend systems such as PACS (Picture Archiving & Communications Systems) and RIS (Radiology Information Systems). Another well accepted standard is HL7 (Health Level 7), a similar Layer 7, application-level communication protocol for transferring and exchanging clinical and administrative data. 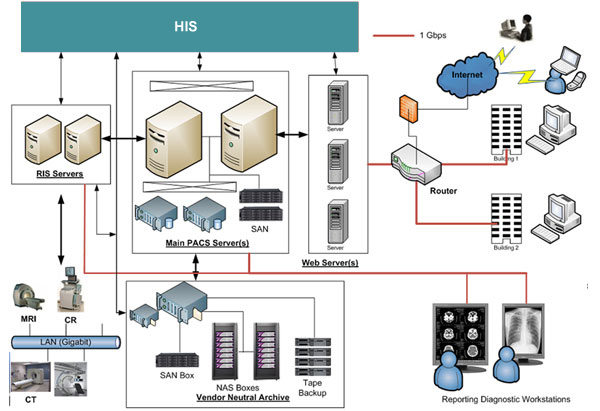 The diagram below shows a self-contained ecosystem involving the front-end HIS (Hospital Information Systems), and the integration of healthcare, medical systems and other DICOM modalities. Early last week, I had a catch up with my friend. He was excited to share with me the new company he just joined. It was ProphetStor. It was a catchy name and after our conversation, I have decided to spend a bit of my weekend afternoon finding out more about the company and its technology. From another friend at FalconStor, I knew of this company several months ago. Ex-FalconStor executives have ventured to found ProphetStor as the next generation of storage resource orchestration engine. And it has found a very interesting tack to differentiate from the many would-bes of so-called “software-defined storage” leaders. ProphetStor made their early appearance at the OpenStack Summit in Hong Kong back in November last year, positioning several key technologies including OpenStack Cinder, SNIA CDMI (Cloud Data Management Interface) and SMI-S (Storage Management Initiative Specification) to provide federation of storage resources discovery, provisioning and automation. The federation of storage resources and services solution is aptly called ProphetStor Federator. The diagram I picked up from the El Reg article presents the Federator working with different OpenStack initiatives quite nicely below: There are 3 things that attracted me to the uniqueness of ProphetStor. 1. The underlying storage resources, be it files, objects, or blocks, can be presented and exposed as Cinder-style volumes. 2. The ability to define the different performance capabilities and SLAs (IOPS, throughput and latency) from the underlying storage resources and matching them to the right application requirements. 3. 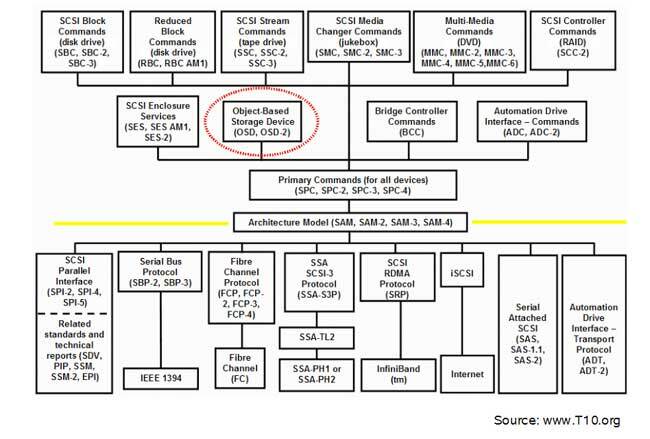 The use of SNIA of SMI-S and CDMI Needless to say that the Federator software will abstract the physical and logical structures of any storage brands or storage architectures, giving it a very strong validation of the “software-defined storage (SDS)” concept. While the SDS definition is still being moulded in the marketplace (and I know that SNIA already has a draft SDS paper out), the ProphetStor SDS concept does indeed look similar to the route taken by EMC ViPR. The use of the control plane (ProphetStor Federator) and the data plane (underlying physical and logical storage resource) is obvious. I wrote about ViPR many moons ago in my blog and I see ProphetStor as another hat in the SDS ring. I grabbed the screenshot (below) from the ProphetStor website which I thought did beautifully explained what ProphetStor is from 10,000 feet view. The Cinder-style volume is a class move. It preserves the sanctity of many enterprise applications which still need block storage volumes but now it comes with a twist. These block storage volumes now will have different capability and performance profiles, tagged with the relevant classifications and SLAs. And this is where SNIA SMI-S discovery component is critical because SMI-S mines these storage characteristics and presents them to the ProphetStor Federator for storage resource classification. For storage vendors that do not have SMI-S support, ProphetStor can customize the relevant interfaces to the proprietary API to discover the storage characteristics. On the north-end, SNIA CDMI works with the ProphetStor Federator’s Offer & Provisioning functions to bundle wrap various storage resources for the cloud and other traditional storage network architectures. This is indeed very exciting times knowing ProphetStor as one of the early leaders in the SDS space. And I like to see ProphetStor go far with this. Now let us pray … because the prophet has arrived. I am sure many people in IT get pissed with IT jargons and terminologies. More so if it is a customer, especially when he or she is not well versed with the fundamental concept behind the technology architecture. Even after 20 years, with most of it in storage, I have a hard time switching from one vendor’s jargon to another (sometimes). But it has gotten harder for me lately, since I teach ONTAP courses for NetApp, EMC Cloud Infrastructure and doing my work with the ZFS stuff. Soon, I will take on EMC VNX, Information Storage Management (ISM), Big Data courses as well, and I also plan to do some Nexenta training too. Happy Lunar New Year! The Chinese around world has just ushered in the Year of the Water Dragon yesterday. To all my friends and family, and readers of my blog, I wish you a prosperous and auspicious Chinese New Year! Over the holidays, I have been keeping up with the progress of Solid State Drives (SSDs). I am sure many of us are mesmerized by SSDs and the storage vendors are touting the best of SSDs have to offer. But let me tell you one thing – you are probably getting the least of what the best SSDs have to offer. You might be puzzled why I say things like this. Let me share with a common sales pitch. Most (if not all) storage vendors will tout performance (usually IOPS) as the greatest benefits of SSDs. The performance numbers have to be compared to something, and that something is your regular spinning Hard Disk Drives (HDDs). The slowest SSDs in terms of IOPS is about 10-15x faster than the HDDs. A single SSD can at least churn 5,000 IOPS when compared to the fastest 15,000 RPM HDDs, which churns out about 200 IOPS (depending on HDD vendors). Therefore, the slowest SSDs can be 20-25x faster than the fastest HDDs, when measured in IOPS. But the intent of this blogger is to share with you more about SSDs. There’s more to know because SSDs are not built the same. There are write-bias SSDs, read-bias SSDs; there are SLC (single level cell) and MLC (multi level cell) SSDs and so on. How do you differentiate them if Vendor A touts their SSDs and Vendor B touts their SSDs as well? You are not comparing SSDs and HDDs anymore. How do you know what questions to ask when they show you their performance statistics? 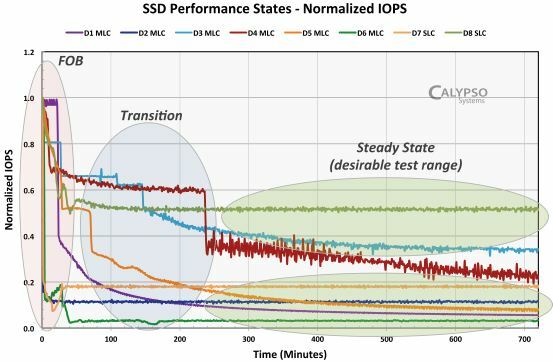 SNIA has recently released a set of methodology called “Solid State Storage (SSS) Performance Testing Specifications (PTS)” that helps customers evaluate and compare the SSD performance from a vendor-neutral perspective. There is also a whitepaper related to SSS PTS. This is something very important because we have to continue to educate the community about what is right and what is wrong. In a recent webcast, the presenters from the SNIA SSS TWG (Technical Working Group) mentioned a few questions that I think we as vendors and customers should think about when working with an SSD sales pitch. I thought I share them with you. Was the performance testing done at the SSD device level or at the file system level? Was the SSD pre-conditioned before the testing? If so, how? Was the performance results taken at a steady state? How much data was written during the testing? Where was the data written to? What data pattern was tested? What was the test platform used to test the SSDs? What hardware or software package(s) used for the testing? Was the HBA bandwidth, queue depth and other parameters sufficient to test the SSDs? What type of NAND Flash was used? What is the target workload? What was the percentage weight of the mix of Reads and Writes? Are there warranty life design issue? As you can see from the graph below, a SSD, fresh out of the box (FOB) displayed considerable performance numbers. Over a period of time (the graph shown minutes), it transitioned into a mezzanine stage of lower IOPS and finally, it normalized to the state called the Steady State. The Steady State is the desirable test range that will give the most accurate type of IOPS numbers. Therefore, it is important that your storage vendor’s performance numbers should be taken during this life stage. Another consideration when understanding the SSDs’ performance numbers are what type of tests used? The test could be done at the file system level or at the device level. 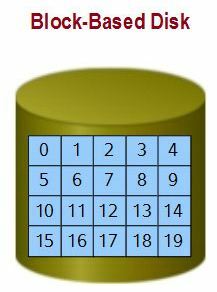 As shown in the diagram below, the test numbers could be taken from many different elements through the stack of the data path. Performance for cached data would given impressive numbers but it is not accurate. File system performance will not be useful because the data travels through different layers, masking the true performance capability of the SSDs. Therefore, SNIA’s performance is based on a synthetic device level test to achieve consistency and a more accurate IOPS numbers. The SSS PTS would be able to reveal which is a better SSD. Here’s a sample report on latency. Once again, it is important to know and not to take vendors’ numbers in verbatim. As the SSD market continue to grow, the responsibility lies on both side of the fence – the vendor and the customer. Good morning, afternoon, evening, Ladies & Gentlemen, wherever you are. Today, we are going to learn how to bake, errr … I mean, make a storage performance model. Before we begin, allow me to set the stage. Don’t you just hate it when you are asked to do storage performance sizing and you don’t have a freaking idea how to get started? A typical techie would probably say, “Aiya, just use the capacity lah!”, and usually, they will proceed to size the storage according to capacity. In fact, sizing by capacity is the worst way to do storage performance modeling. Bear in mind that storage is not a black box, although some people wished it was. It is not black magic when it comes to performance sizing because things can be applied in a very scientific and logical manner. SNIA (Storage Networking Industry Association) has made a storage performance modeling methodology (that’s quite a mouthful), and basically simplified it into these few key ingredients. This recipe is for storage performance modeling in general and I am advising you guys out there to engage your storage vendors professional services. They will know their storage solutions best. And I am going to say to you – Don’t be cheap and not engage professional services – to get to the experts out there. I was having a chat with an consultant just now at McDonald’s. I have known this friend of mine for about 6-7 years now and his name is Sugen Sumoo, the Director of DBORA Consulting. They specialize in Oracle and database performance tuning and performance forecasting and it is something that a typical DBA can’t do, because DBORA Consulting is the Professional Service that brings expertise and value to Oracle customers. Likewise, you have to engage your respective storage professional services as well. First of all, the storage is there to serve applications. 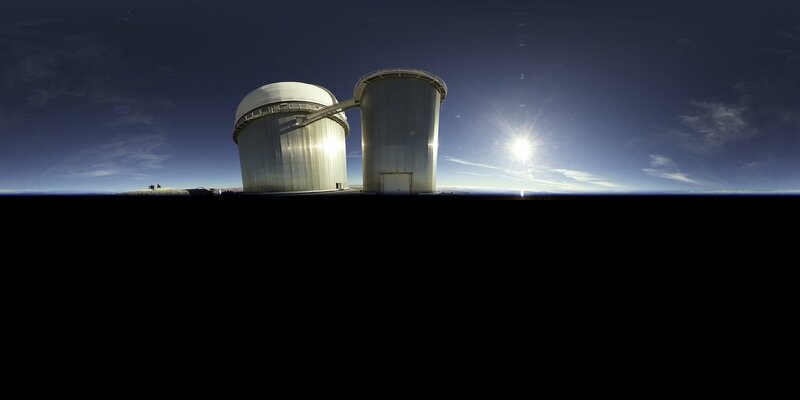 We always have to look from the applications’ point of view, not storage’s point of view. Different applications have different block size. Databases typically range from 8K-64K and backup applications usually deal with larger block sizes. Video applications can have 256K block sizes or higher. It all depends. The best way is to find out from the DBA, email administrator or application developers. The unfortunate thing is most so-called technical people or administrators in Malaysia doesn’t have a clue about the applications they manage. So, my advice to you storage professionals, do your research on the application and take the default value. These clueless fellas are likely to take the default. Applications behave differently at different times of the day, and at different times of the month (no, it’s not PMS). At the end of the financial year or calendar, there are some tasks that these applications do as well. But in a typical day, there are different weightage or percentage of read operations versus write operations. Most OLTP (online transaction processing)-based applications tend to be read heavy and write light, but we need to find out the ratio. Typically, it can be a 2:1 ratio or 60%:40%, but it is best to speak to the application administrators about the ratio. DSS (Decision Support Systems) and data warehousing applications could have much higher reads than writes while a seismic-analysis applications can have multiple writes during the analysis periods. It all depends. To counter the “clueless” administrators, ask lots of questions. Find out the workflow of several key tasks and ask what that particular tasks do at different checkpoints of the application’s processing. If you are lazy (please don’t be lazy, because it degrades your value as a storage professional), use a rule of thumb. Applications behave differently in general. They can be sequential, like backup or video streaming. They can be random like emails, databases at certain times of the day, and so on. All these behavioral patterns affect how we design and size the disks in the storage. Some RAID levels tend to work well with sequential access and others, with random access. It is not difficult to find out about the applications’ pattern and if you read more about the different RAID-levels in storage, you can easily identify the type of RAID levels suitable for each type of behavioral patterns. This variable is a bit more difficult to determine. This means that a chunk of the application has to be loaded into a working area, usually memory and cache memory, to be used and abused by the application users. Unless someone is well versed with the applications, one would not be able to determine how much of the applications would be placed in memory and in cache memory. Typically, this can only be determined after the application has been running for some time. The flexibility of having SSDs, especially the DRAM-type of SSDs, are very useful to ensure that there is sufficient “working space” for these applications. According to SNIA model, for I/O less than 64K, IOPS should be used as a yardstick to do storage performance modeling. Anything larger, use throughput, in which MB/sec is the measurement unit. The application guy would be able to tell you what kind of IOPS their application is expecting or what kind of throughput they want. Again, ask a lot of questions, because this will help you determine the type of disks and the kind of performance you give to the application guys. If the application guy is clueless again, ask someone more senior or ask the vendor. If the vendor engineers cannot give you an answer, then they should not be working for the vendor. This part is usually overlooked when it comes to performance sizing. Demand intensity refers to how intense is the I/O requests. It could come from 1 channel or 1 part of the applications, or it could come from several parts of the applications in parallel. It is as if the storage is being ‘bombarded’ by applications and this is the part that is hard to determine as well. In some applications, the degree of intensity or parallelism can be tuned and to find out, ask the application administrator or developer. If not, ask the vendor. Also do a lot of research on the application’s architecture. And one last thing. What I have learned is to add buffers to the storage performance model. Typically I would add about 10-20% extra but you never know. As storage professionals, I would strongly encourage to engage professional services, because it is worthwhile, especially in the early stages of the sizing. It is usually a more expensive affair to size it after the applications have been installed and running. “Failure to plan is planning to fail”. The recipe isn’t that difficult. Go figure it out. We are used to block-based approach and also the file-based approach to data. The 2 diagrams below shows the basics of how we access data in both block-based and file-based data on the storage device. there is another layer of abstraction, and this is called the file system. But if you seen both diagrams above, there are some random numbers in light blue and that is to represent the storage device, the hard disk drive’s export of “containers” to the file system or the application that is accessing the storage device. 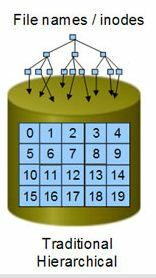 This is usually the LBA (Logical Block Addressing), which is basically set of schematics that defines the locations on the hard disk drives. LBA tells the location of where the data is stored. For more information about LBA, check out this Wikipedia definition. But the whole idea is LBA is dumb. It is pretty much static and exported to file systems and applications so that these guys can do something with it. There’s something brewing in the background since 1994 and it is one of the many efforts to make intelligent storage devices. This new object-based interface was part of the research project done by Carnegie-Mellon University (CMU). Initially, it was known as Network Attached Secure Disk (NASD) but eventually made its way to the working group in SNIA, and developing it for ANSI T10 INCITS standard. ANSI T10 is the guardian of all SCSI standards. This is called Object Storage Device (OSD). 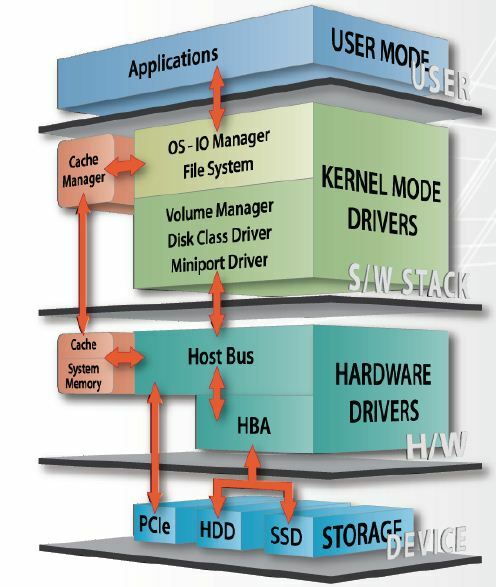 The SCSI architecture diagram below shows the layer where OSD resides. The motivation for this simple: To make storage devices of today to do more computational work, in particularly I/O, relieving the hosts and the local systems to concentrate other computational processing work. And the same time, the local systems must have some level of interactivity and management between the storage object and the computational hosts. 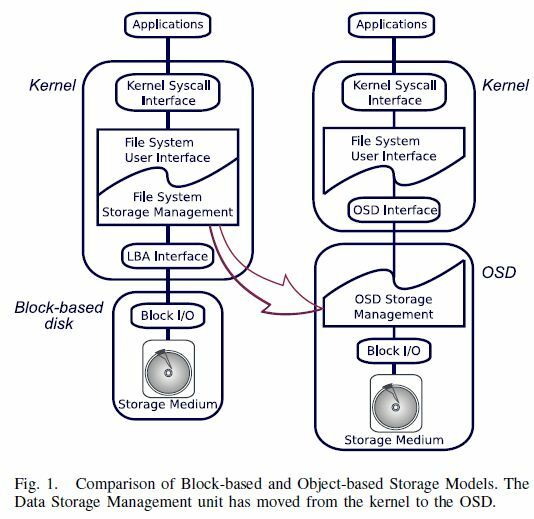 you can see the separation of file system management interface that is at the kernel-space of the local host/system and this is replaced by the OSD Management interface at the storage device. What does this all mean? This means that using LBA type of addressing that we are familiar with in the block-based and file-based storage is no longer the way to go, because as I mentioned before, LBA is dumb. OSD, in some way, replaces the LBA with OIDs (Object IDs). The existing local system and/or its file system will interact with the storage devices with OIDs and the OIDs links to its respective objects storage. 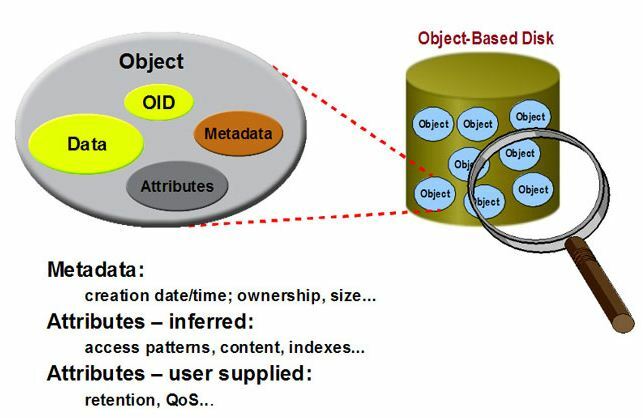 And the object will carry a lot of metadata, that represents the object, giving it the intelligent and management capability of the object. The prominence of the metadata in the OSD would mean that we can build much more intelligent systems in the future. 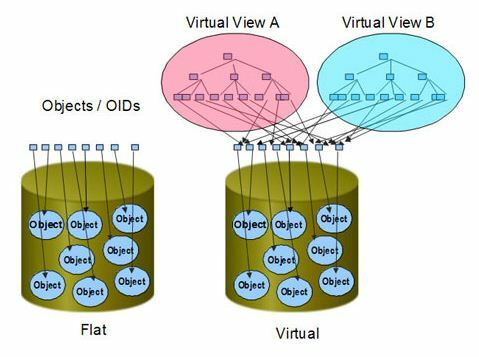 The OIDs and the objects can be grouped together in a flat design or can be organized and categorized in a virtual, hierarchical model. 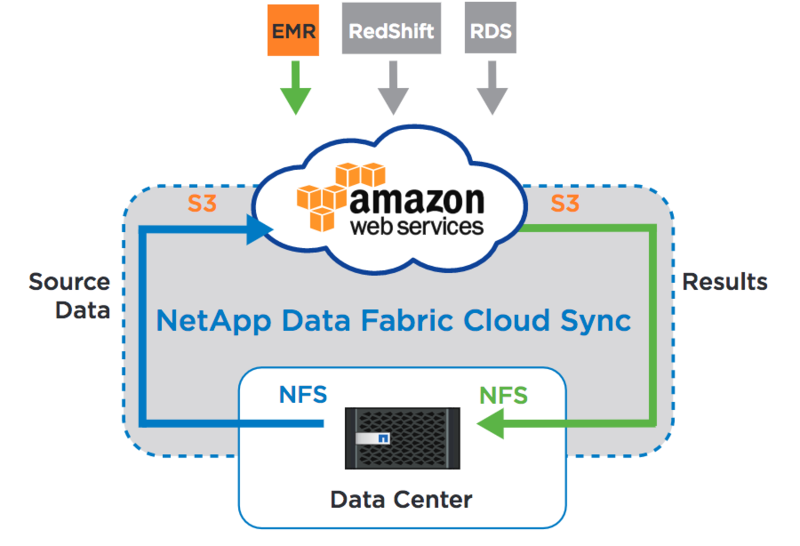 Several vendors such as EMC and NetApp are already supporting OSD. Got invited to HP Malaysia’s workshop … he he! No, HP probably didn’t read my blogs and this isn’t a knee-jerk reaction from HP about things I have been writing. OK, I didn’t write about HP because I don’t know much about them. But this came as a coincidence as well as an apt title (my bad for the shameless plug for this entry’s title). In my previous blog entry, I wrote about HP’s future in the latest IDC Q2 market share figures. I was not too enthusiastic about HP’s storage line up. Today, my old friend Mr. CC Chung, who is HP’s Country Manager for Storage, had tea with me at Bangsar Shopping Center. We were there to discuss about HP engagement with SNIA when the topic of HP’s storage came about (obviously). Chung said I lack the understanding of HP storage solutions, which I admit, is very true. And so, my friend with his kind gesture invited me to a series of HP Storage Solutions workshops, which I accept with glee and gratitude. Thank you very much, my friend. 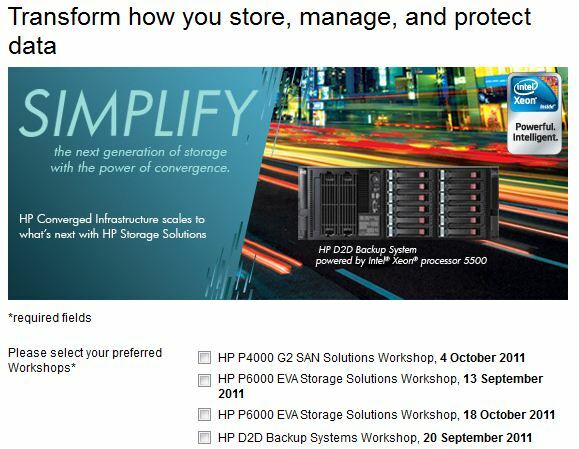 I am seriously looking forward to the workshop and learn about the vibes of HP Storage Solutions. Too bad there aren’t workshops for HP 3PAR and HP X9000 IBRIX but I am sure this will be the start of my new friendship with HP. Incidentally, as I was waiting for Chung, I was reading the HWM Magazine August 2011 issue, and lo behold, Chung was in the news announcing the HP X9000 IBRIX and X5000 G2 Network Storage System. I couldn’t find the HWM article online but I found the next best thing. 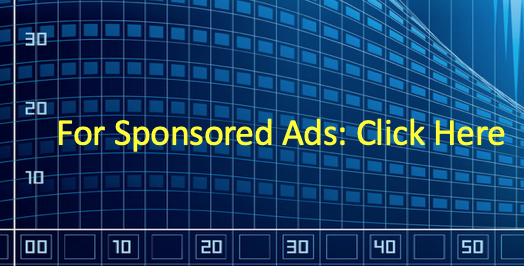 A similar article (online, of course), appeared at CIO Asia. And with a nice picture of Mr. CC Chung too!